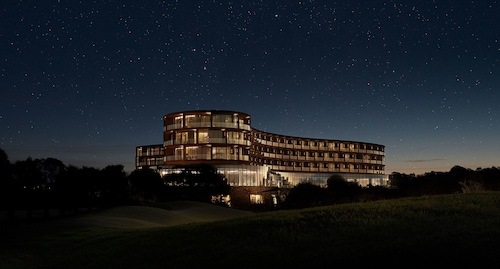 Heading to the Mornington Peninsula? Why not stay in Mornington itself? A seaside village with Mediterranean dining and delightful local shops, it’s a great place to chill while you visit the peninsula’s natural sights and wineries. With a beach that’s perfect for a swim in summer, and windswept and dramatic in winter, Mornington is an ocean lover’s dream. Dock here and find treasure with one of our Mornington hotels. Only one hour’s drive from Melbourne, it’s no surprise the Mornington Peninsula is such a popular place for day trippers looking for a break from the city. Winding roads will take you past cliffs with coastal views and hillside mansions, then deep into the hinterlands to mazes and vineyards. There are over 50 cellar doors in Mornington, so if you haven’t done a wine tour before, now’s the time! On the beaches you can often find colourful bathing boxes, and fish and chips are rarely far away. Shaped like a little boot, the Peninsula looks a bit like Italy, and has other things in common like cuisine and architecture. Its unique shape means there’s more than 190km of coastline to laze along. Hit the brick footpaths of Mornington’s Main Street to browse a local shop, visit an Italian- style cafe or eat at one of the restaurants – there’s food here from all over the world. If you prefer to do your shopping in a mall, there’s also a Centro shopping centre close by. At the end of the street you’ll find Mornington Park, which stays true to its seaside location with a wooden pirate ship in its playground. With its BBQ facilities and huge trees, it’s a great place for a picnic. Follow Schnapper Point Drive to Mornington Pier. It’s the home of the Mornington Yacht Club, and you can see them both docked on the shore and floating in the ocean. From the Matthew Flinders Obelisk you can see all the way across the ocean to the Melbourne CBD. In summer, Mornington Beach is a terrific place for a swim, with boat sheds on the shore and yachts floating in the blue waters. On the first Saturday of every month, you can visit the Mornington Farmers’ Markets in Mornington Park to enjoy live music and pick up some fresh food and surprises. While you’re on the Peninsula take a wine tour, visit a cool local attraction like the Enchanted Adventure Garden at Arthur’s Seat, or take a long walk on a beach – they’re all over the place, from Balnarring to Sorrento. Book your Mornington accommodation and a flight to Melbourne with us and set sail for the Mornington Peninsula. How Much is a Hotel Room in Mornington? 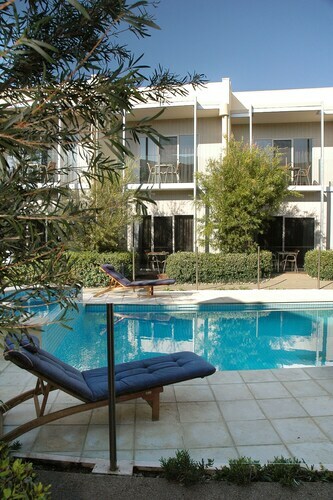 Hotels in Mornington start at AU$101 per night. Prices and availability subject to change. Additional terms may apply. From check in to check out, the perfect experience. Great rooms all facing the inner pool area. Little deck outside sliding doors to sit and watch pool - mature tropical style vegetation so quite pretty. Heated spa. Microwave & crockery, cutlery for 3 in rooms plus washing equipment- nice for a motel. Bathroom small but modern - suite itself quite spacious with room for a full couch with chaise end. Enjoyed our stay - I’d stay again - rooms a bit dark.